CapSense click add-on board features a capacitive sensing module CY8C201A0 which takes human body capacitance as an input and directly provides the real time sensor information via I2C output. 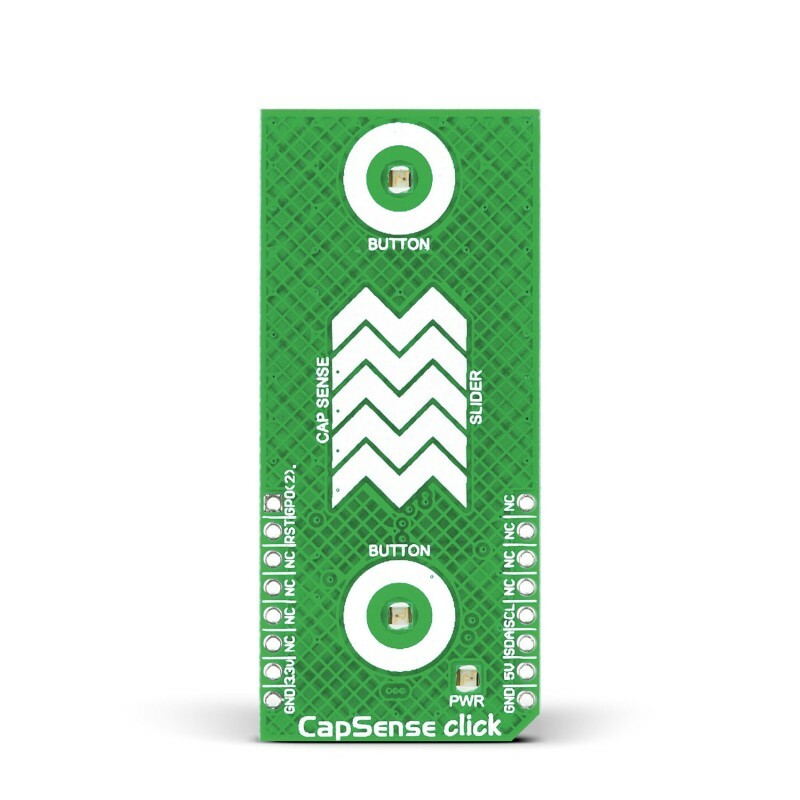 CapSense click add-on board features a capacitive sensing module CY8C201A0 which takes human body capacitance as an input and directly provides the real time sensor information via I2C output. 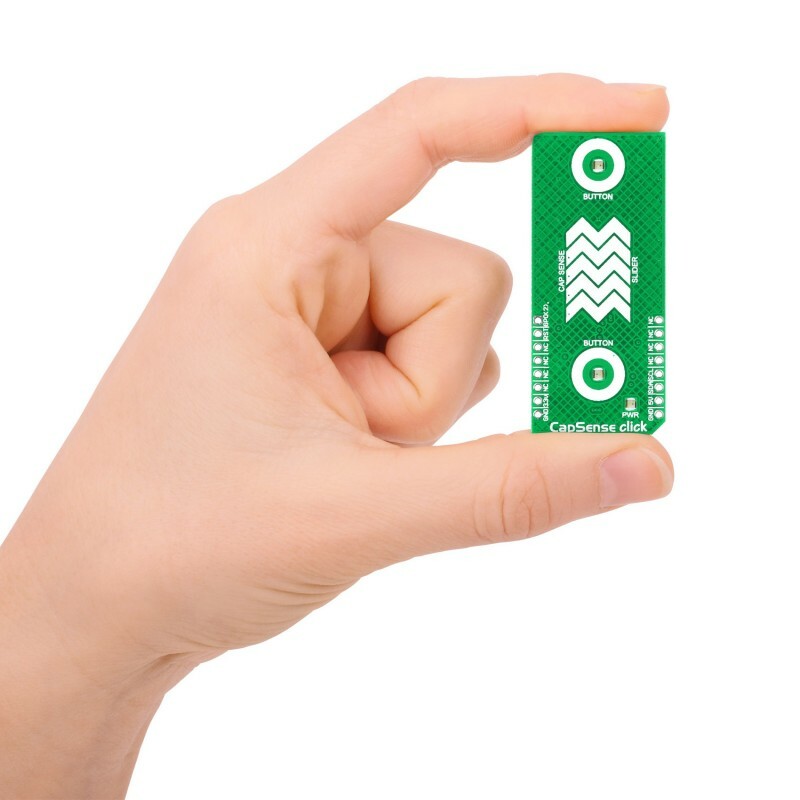 The board contains capacitive sensing elements (5-segment slider and two buttons) as well as two LEDs. The CY8C201A0 capacitive controller has high immunity against radiated and conductive noise. 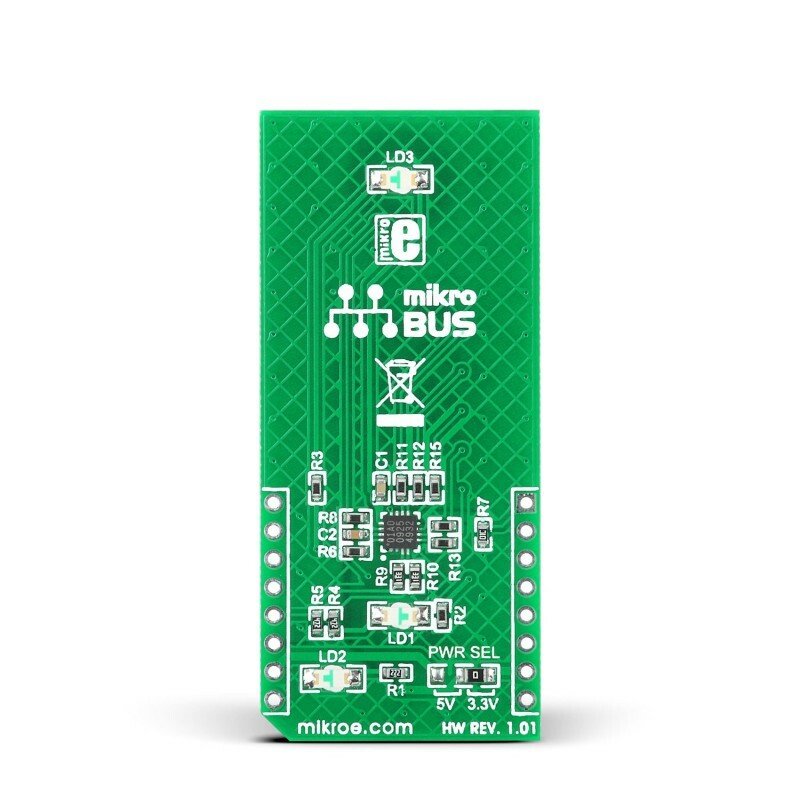 The board is designed to use 3.3V or 5V power supply. This is determined by the position of SMD jumper J1. 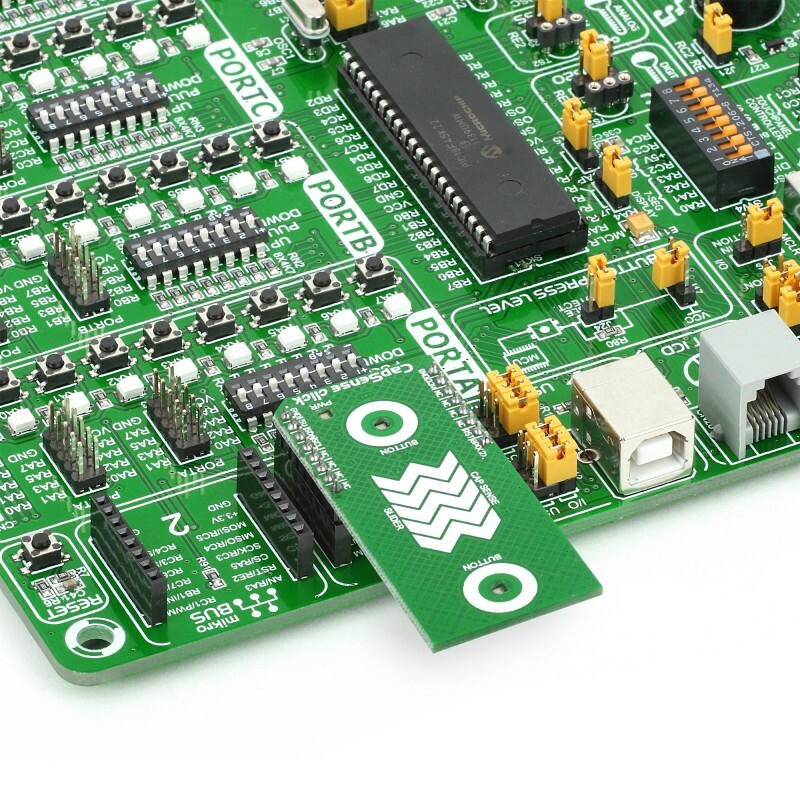 Applications Board represents an ideal solution for adding capacitive buttons and a slider as a control interface of your devices, such as Printers, Cellular handsets, LCD monitors, Portable DVD players, etc. Cap-sense or capacitive sensing is a measurement of changes in capacitance. The technology is based on capacitive coupling and can be used to detect approaching or touching the sensor by any kind of conductive object or object that has a dielectric different from surrounding air.